It’s time for a fresh round of Live Builds for January 2019. The last month has seen a lot of progress across a wide variety of systems, so rather than waste time on an intro. let’s get right into it. 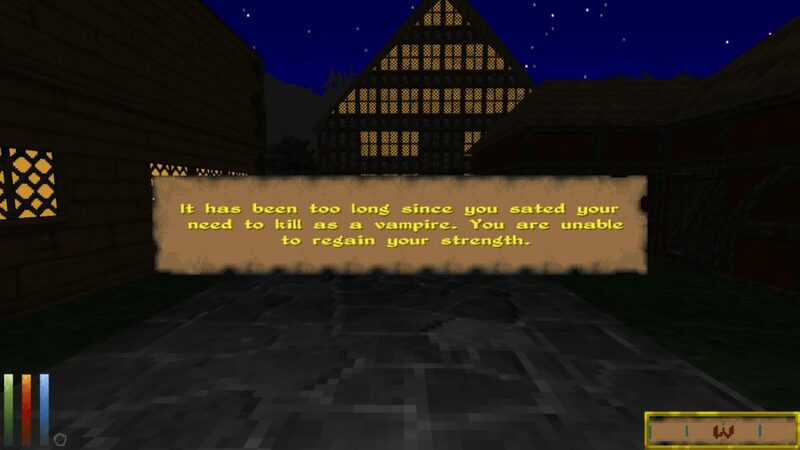 The full loop of Daggerfall-styled vampirism is now in the game from curse all the way through to cure. Each time you’re mauled by a vampire, you have a 0.6% chance of contracting the disease that will transform your character into one of their kind. Some time after being infected, your rest will be plagued with bad dreams. Unless you like fangs and late-night shopping, this would be a good time to find a temple and cure yourself of diseases. If you allow the disease to continue a few days, you will “die” and awaken two weeks later interred somewhere in the region. 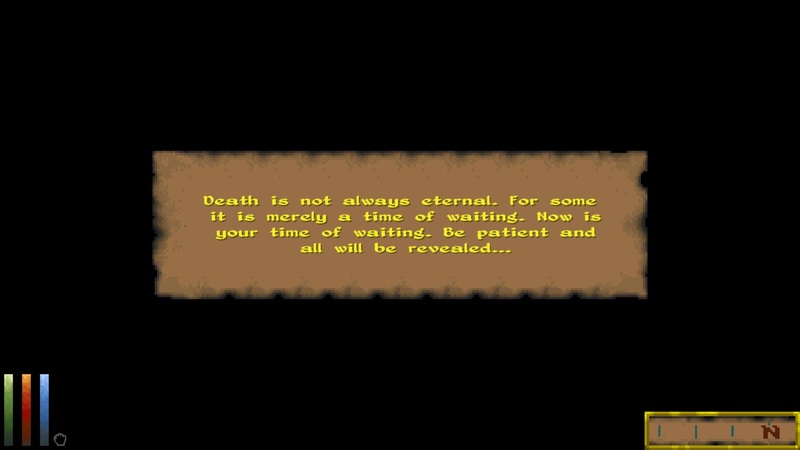 In classic Daggerfall, your death will also remove you from all guilds and reset your legal reputations. 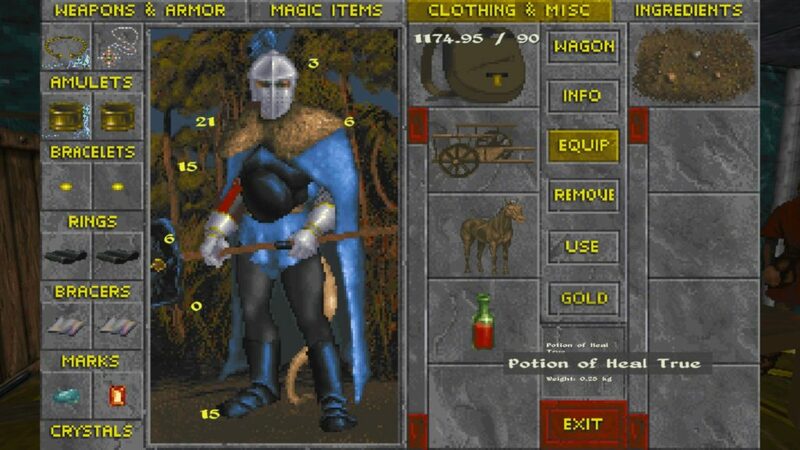 At this time, Daggerfall Unity doesn’t modify guild memberships or reputations, this will be implemented sometime in the next few months. Becoming a vampire comes with some great perks. 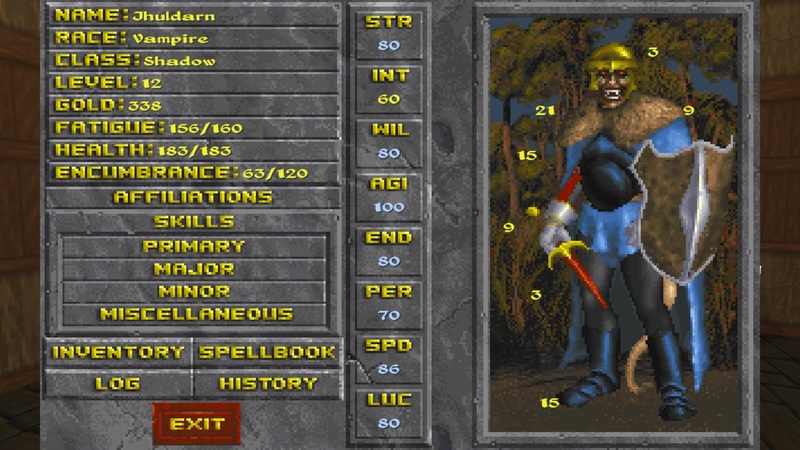 You can no longer be touched by weapons less than silver quality, you get +20 to most attributes, +30 to Climbing, Critical Strike, Hand-to-Hand, Jumping, Running, and Stealth, and unique vampire versions of spells including one specific to your clan. I should note that only Levitate and clan-specific spells are currently delivered to vampires. Charm Mortal and Calm Humanoid are not working yet, but will be added soon. You also get a nice set of fangs and some really bloodshot eyes. It’s not all positive though. As a vampire, you will start taking damage from sunlight and holy place. But most pressing of all is the need to satiate your urge to kill at least once a day. If you fail to kill each day, you will find yourself unable to rest which can make things difficult. Fast travel will also make you arrive at night, so you will have limited time windows for shopping in cities before they close. After playing for a while, you will receive unique vampire quest, starting with an introduction ques from your clan. 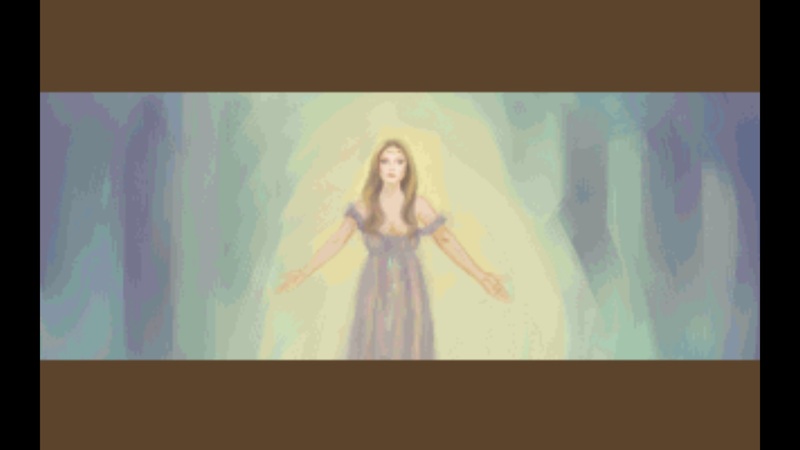 There are 10 vampire quests in total, including one that will cure you of the infliction. It’s probably worth mentioning that most of the back-end work for racial override effects is now complete, so lycanthropy won’t be too far away. While still a work in progress, it’s now possible for modders to create custom spell icon packs for magical distinction. You can have any number of icon packs installed which can have any number of icons. A test HD icon pack painted by VMBlast and prepared by Alyndiar on the forums is included in this build. This pack is likely to be upgraded at some time in future. This feature comes with an enhanced icon picker that opens a scrolling palette of all available spell icons from packs and classic, rather than cycle through icons one at a time. 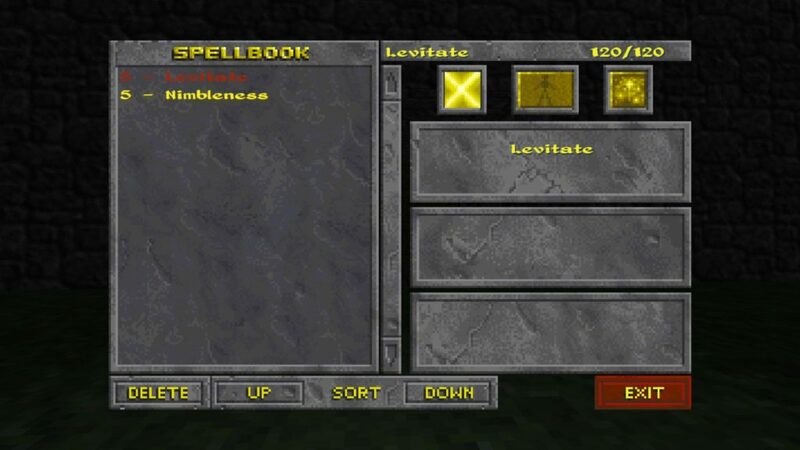 You can set the new spell icon from inside the spellbook or spellmaker UI. Your new spell icon will then be visible on the HUD when you cast that spell. Screenshot below by Alyndiar. If you remove a spell icon pack, then Daggerfall Unity will just fallback to one of the classic icons instead. Effect icons from magic items do not currently use custom spell icons – a system for this working automatically and being defined by icon pack metadata is in progress. If you’re one of the many people who find Daggerfall dungeons overwhelming, there’s now an experimental feature to make most dungeons much smaller and easier to navigate. You can enable this by setting “SmallerDungeons=True” in settings.ini. Because this is still in experimental stages, the setting is only available in settings.ini. Please make sure your save is not inside a dungeon when changing this! 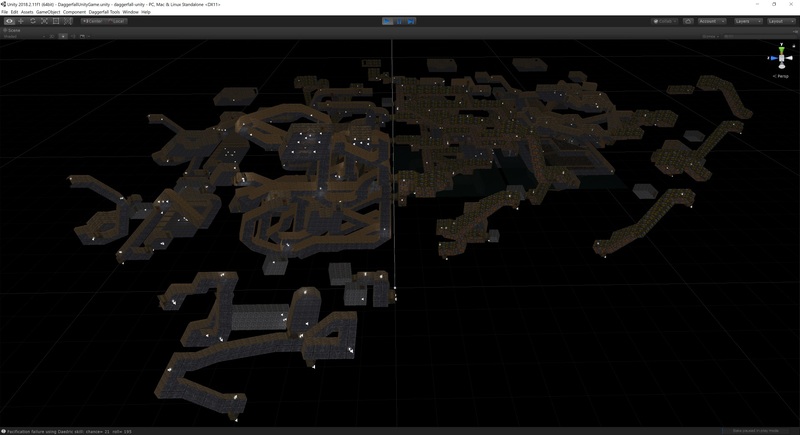 Smaller dungeons work by remixing a random dungeon at layout time down to the minimum viable size of one interior block surrounded by four border blocks. This will simplify all random dungeons to around the size of Privateer’s Hold. Dungeons that are already small (e.g. 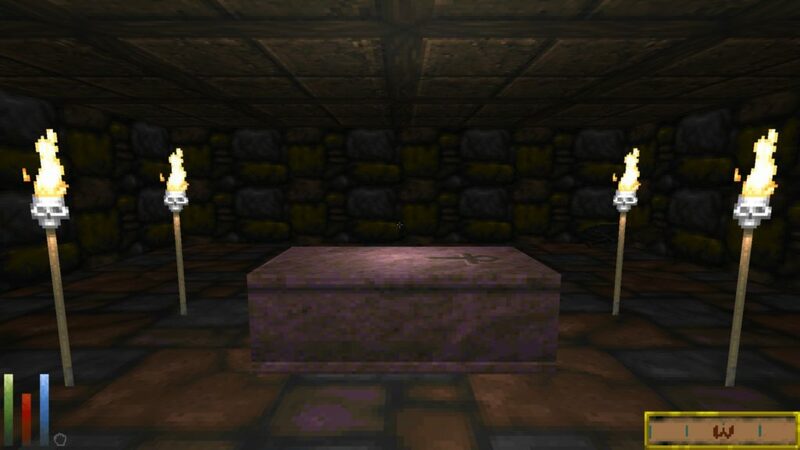 cemeteries) and main quest dungeons are not affected by this change. 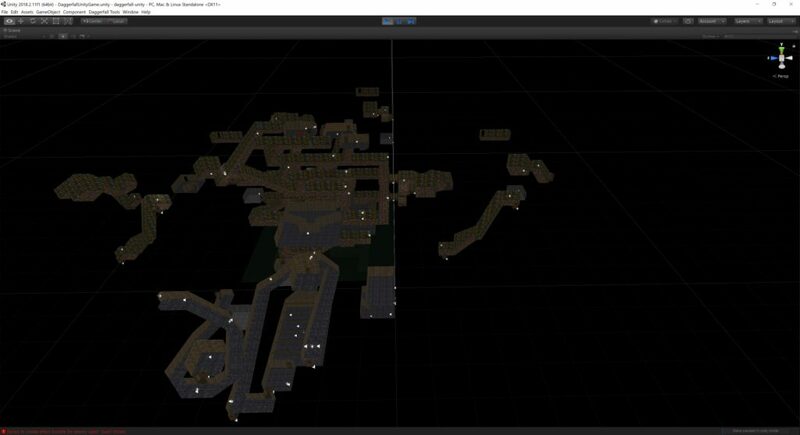 The following screenshots show a comparison of dungeons before and after enabling SmallerDungeons in settings. The smaller dungeon is still in the same style because components from the original dungeon are being remixed into a more compact format. If the original dungeon had water blocks, then the new dungeon might have a water block as well. New random layouts are seeded by the dungeon’s unique mapid, so the layout continues to have persistence like the static layout data read from classic. 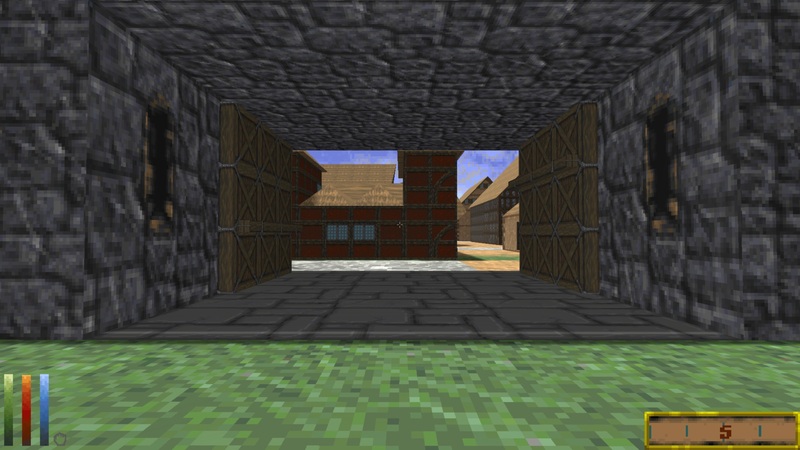 Hopefully this feature will help newcomers have a better experience with Daggerfall while not completely changing the way Daggerfall’s dungeons look and feel. By order of the City Watch, walled cities now maintain a strict daily schedule. Gates will close at night and open again in the morning. Any travellers arriving at night (such as vampires) will need to find another way over the walls. 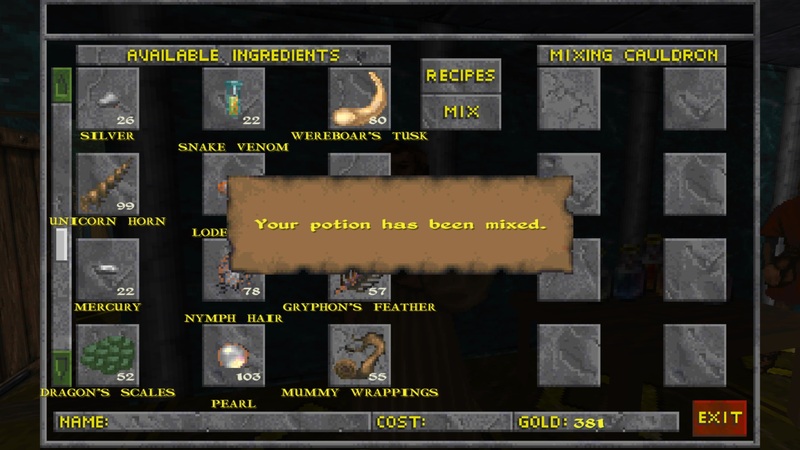 Daggerfall Unity now has full potion support thanks to Hazelnut’s efforts. All recipes are matched to effects and can be mixed in game. Potions have improved icon matching (a healing potion will have a red liquid for example) and potions of the same type will stack nicely. This feature is a huge plus for characters that prefer not to use magic directly. Edit: Potions were originally available in December 20 builds, but some refinement has been done since then. It seemed appropriate to mention the feature again in light of how much work Hazelnut has put into it. 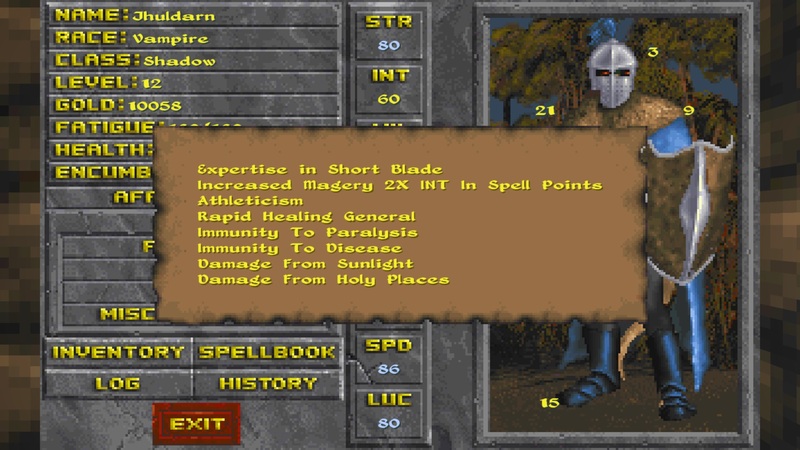 You’ve been able to Use magic items to cast spells for a while, and now you can hit the “use magic item” hotkey (default U) to open a list of available magic items to cast from. This helps cut down on recasting time. Magic items will also now lose a bit of durability on each use until they break. 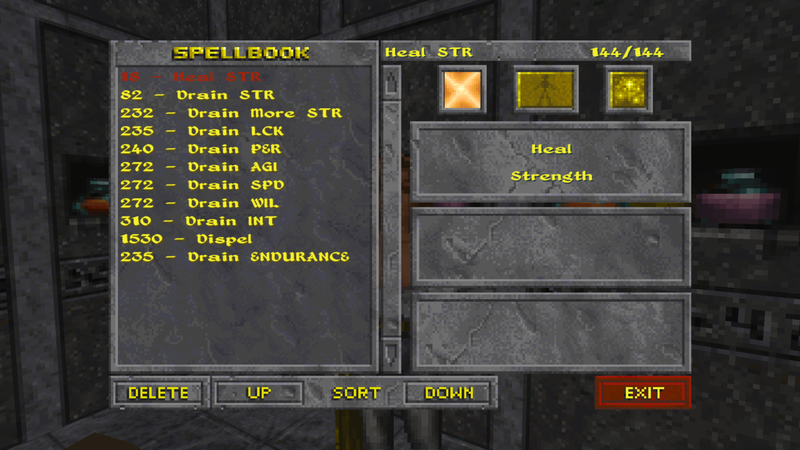 You can now move spellbook items up or down manually, or sort by alphabetical and order of spell cost. You can also rename spells and change their icons in the spellbook UI. When you click the History button on character sheet, any racial bonuses are now displayed as part of the popup info. This will include changes from secondary races like vampires and lycanthropes. Hazelnut has changed quest dispensing to be more like classic. Unfortunately this has breaking changes with quest pack mods. If you’re running any community quest packs, you’ll need to update that mod to a version compatible with this release. 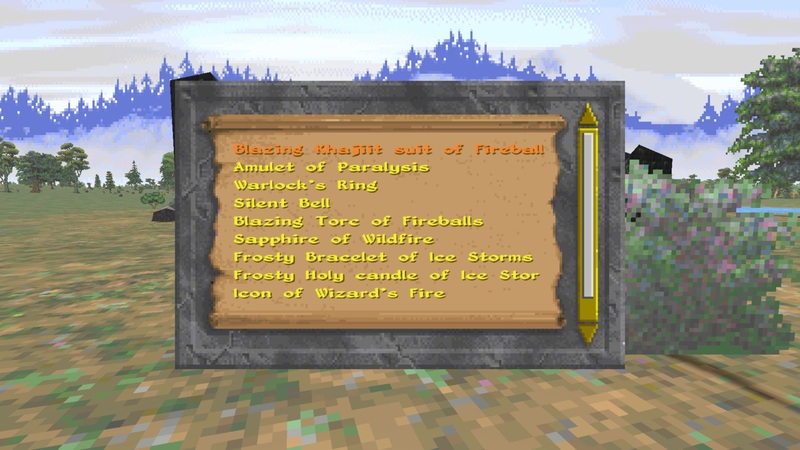 For example, Jay_H’s Daggerfall Unity Quest #1 already has a version for Daggerfall Unity 0.7.3 and later. You’ll need that update for these builds. I also want to highlight all the amazing work being done by Nystul and Hazelnut around moving terrain setup to use parallel tasks and take advantage of multi-core CPUs. On most test systems, the time to load a terrain tile has been reduced from around 9ms to around 3ms. That might not seem like much, but it’s a big improvement to world streaming. Hazelnut continues to work on optimisation, and I understand more improvements are coming in the following months. For the new item powers, these are currently not available from the Daggerfall Unity spellmaker. I’m busy laying down groundwork and a feature complete spellmaker will be ready soon. 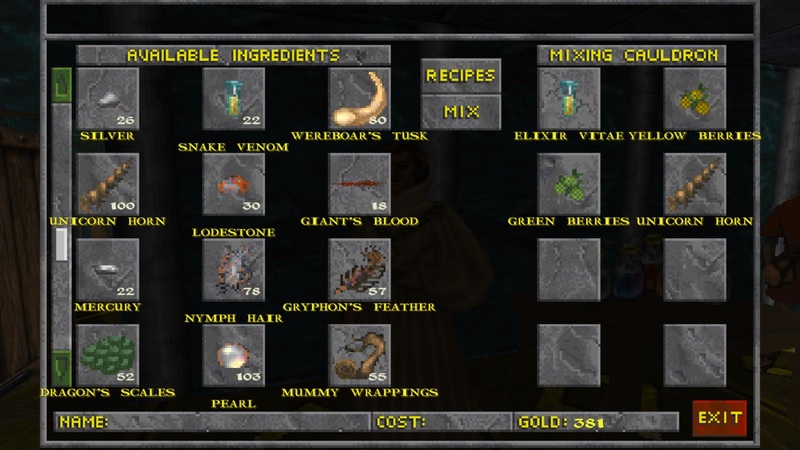 In the meantime, you can test these effects by creating these items with a character in classic Daggerfall and importing that save into Daggerfall Unity. And that’s all for now, thanks for reading! 2. I’m somewhat confused about Acute Hearing. Does it mean that the game will check a greater radius for the purpose of determining if the character is able to rest (“There are enemies nearby”)? 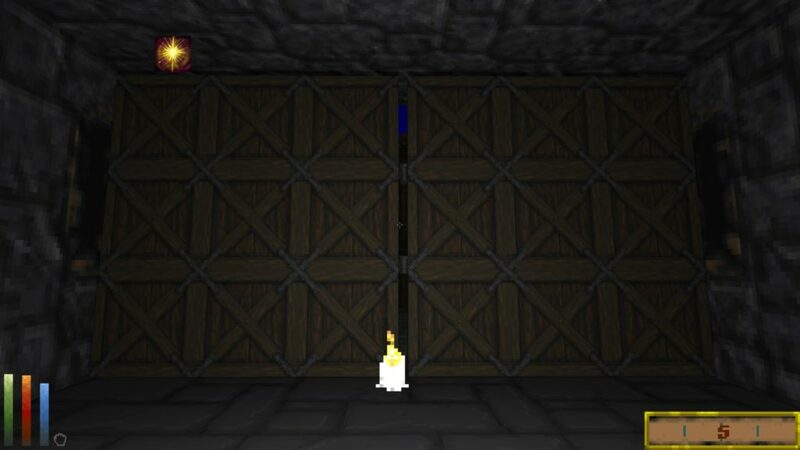 Or will it play sounds (for the player, through the speakers) for enemies that are more distant from the player? If the latter, wouldn’t it lead to some confusion, when the player hears some monster but can’t find them because this monster is actually farther than it sounds? Excellent! Can’t wait to play this build + mods! @Kzer-Za Acute Hearing just helps you hear enemies a bit further away than normal. It doesn’t change radius for resting. I agree it’s a bit of a strange (maybe even useless) perk to have, but it’s one of the classic features we need to reproduce. Maybe it can be made more useful later. If there is a way to change the volume of what your hearing based on the distant maybe? The 1.0 is getting closer, I’m so excited! been following for years .so happy this is almost at point im ready to play with . keep up great work not said enough !!!!!! !